This unusual Natural Wood Table Lamp Edged Mushroom from Leitmotiv is perfect for a Scandi chic decor style room. The natural wood finish means this mushroom table lamp would suit most interiors and could be used as a bedside lamp or table lamp. 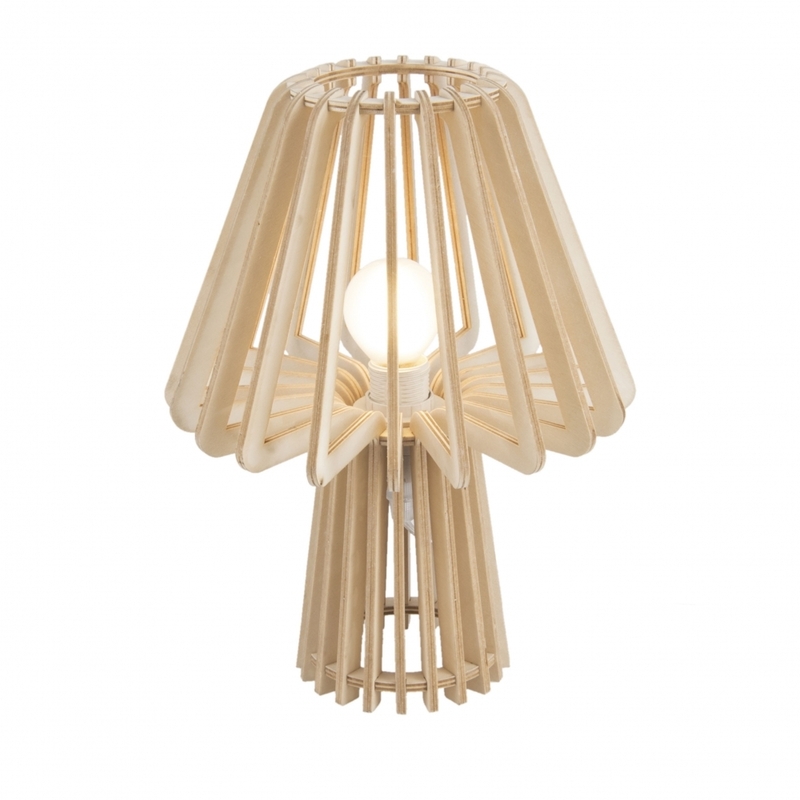 Simply slot the pieces around the central light fitting and create the 3D mushroom shape. Ideal as a home accessory for yourself or give it as a housewarming gift.